Auburn is holding a contest for the best memory of rolling the Toomer’s Oaks. Pat Dye probably won’t win. Did he toss a roll? 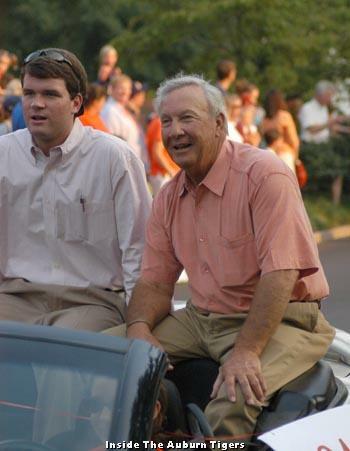 Despite his lack of participation in Toomer’s celebrations, Dye has definite ideas about what should happen to the oaks. Cutting them down isn’t one of them. He’s also against turning them into souvenirs. He says that, but if he were in charge we’d find the oaks at the bottom of lake martin 30 years later and he’d claim to have no idea how it happened.